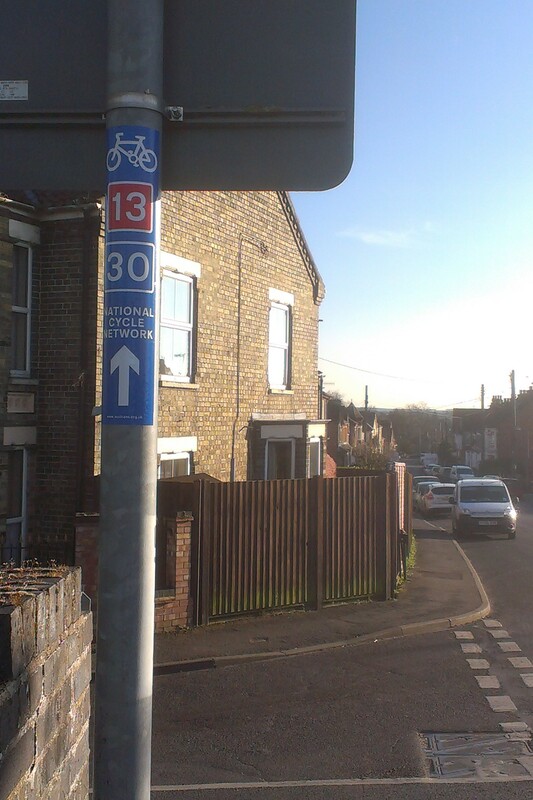 This afternoon, I took advantage of the good weather to cycle over my section of route 13 and route 30 from Thetford to the C150 south of Bridgham. 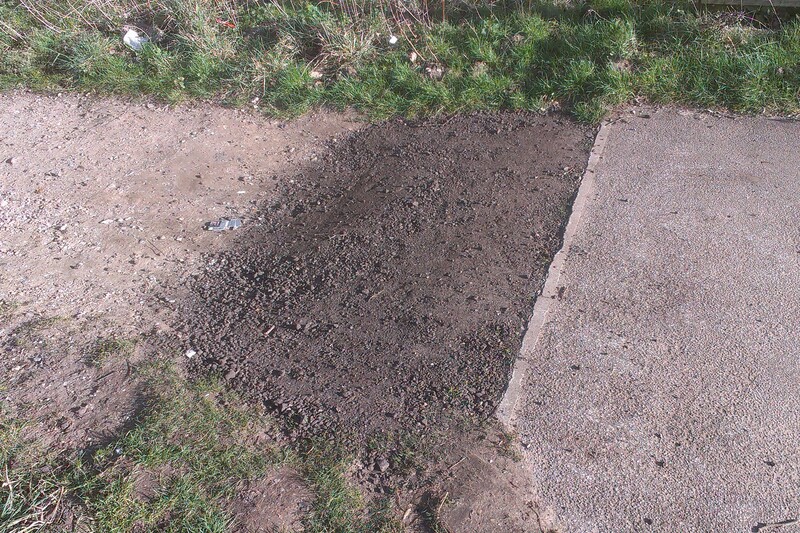 It was good to see that the step by the Thetford Tesco Store that I had previously contacted Norfolk County Council about had now been repaired. Despite the recent wet weather, the surface of Bridgham lane was already quite sandy on the southern section. This will need monitoring over the summer. 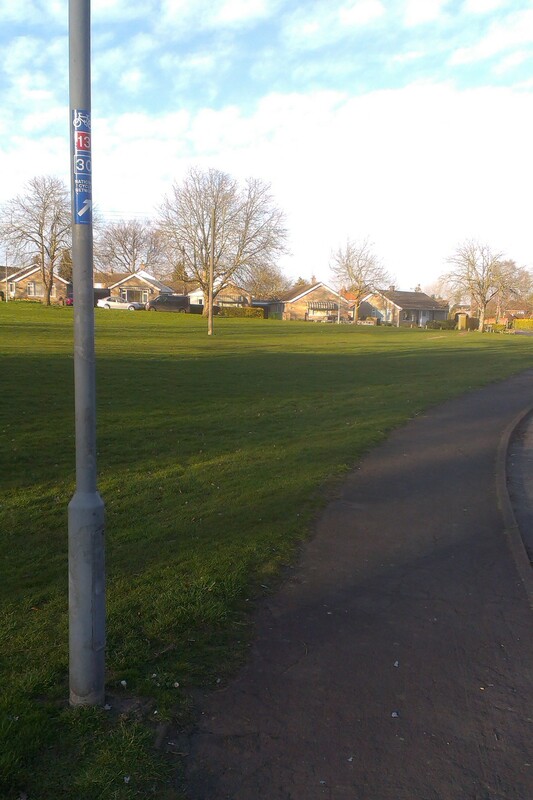 Back in Thetford, I did work on two signs. First, adding a new sign on Croxton road just south of Mundford road, and secondly replacing a damaged sign near the west end of Green Lane. Finally, although not on the Sustrans route, the well-used Joe Blunt’s Lane has previously had some shingle added to a couple of short sections as part of work for the Thetford Academy. I complained to Norfolk County Council back in November 2013 that this would be dangerous for cyclists. In response, they said they’d asked the contractor to remove the shingle, but this doesn’t seem to have happened yet. I’ll be contacting the council again about this.